Sofapaka president Elly Kalekwa has explained the reasons why players in his team have gone for two months with salary. 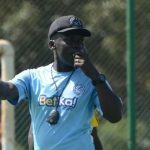 Kalekwa said it was not true that the players had not been paid any salary this year, but admitted that they had an arrears of two months which he was working on settling as the season nears it’s climax. with in 2017 that was to see the team get Sh50 million from the betting firm each year for three years. That is no longer the case at the moment. “The situation is tough that I can admit. We have not paid our players for two months and that has been caused by the unexpected slashing of our sponsorship deal with Betika who reduced the package from Sh50 million in a year to Sh15m annually due to the new tax requirements for betting companies,” Kalekwa said. 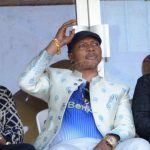 Betika’s Manager of Betting Services Kennedy Ochieng confirmed the latest developments, saying the introduced betting tax, forced them to re-asses their sponsorship deal with Sofapaka. “ The tax is now at 15 per cent on the gaming companies and 20 per cent withholding tax on every gaming win. This informed our decision to cut our sponsorship deal with Sofapaka from Sh50m a year to Sh15 million,” Ochieng said. week, match allowances, accommodations, training pitch hiring, administrative costs and salaries, hence the reason of delayed salaries. 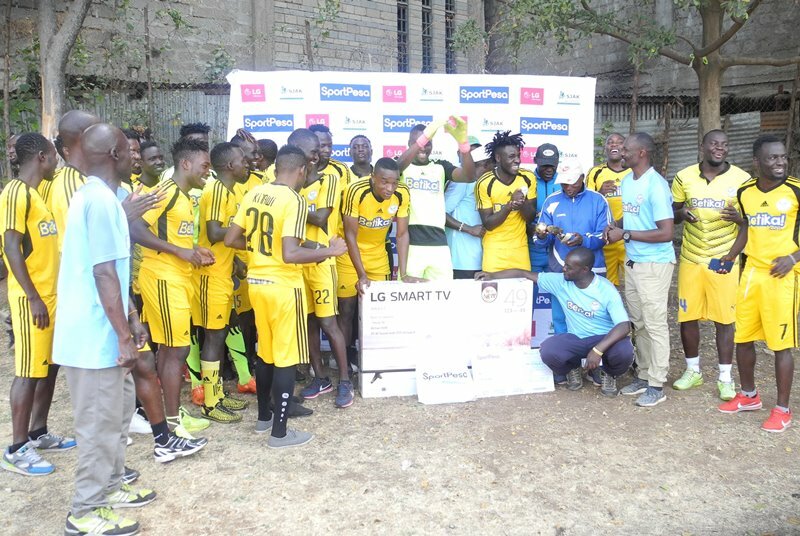 League organisers Kenyan Premier League give all the 18 top flight teams monthly grants of Sh 280, 000 per month which is a drop in the ocean looking at the monthly expenses of the teams. Meanwhile, Kalekwa clarified that defender Soter Kayumba was at AFC Leopards on loan and that he had had not left the 2009 champions on a free transfer after not being paid salary for three months. not left on free transfer,” Kalekwa said. winner this month because I played well and everybody was talking about me. I’m glad I caught the panel’s eyes and so I can look forward to better days,” Ndikumana jubilantly declared. goal and prevent them from scoring,” he added. Teammates burst in Lingala sings when his name was read out at their training ground. His fete crowned a perfect month for Sofapaka who won both player and coaches’ award. John Baraza was voted March Fidelity Insurance Coach of the Month having guided his club to more victories over other league rivals. The Africa Cup of Nations bound Ndikumana talked up the team’s chances ahead of their debut in African continent’s premier football event. “We are very happy to have made history of joining the big boys up there. The intension is not to just participate but compete for every point and hopefully reach another milestone of getting past group stage,” he quipped. 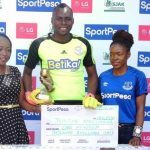 CAPTION: Sofapaka’s Justin Ndikumana receives the Footballer of the month award for March 2019 from Maureen Kemunto of LG and Sportpesa’s Trizzah Akoth at Eastleight High school on April 16,2019. Sofapaka coach John Baraza has said he will continue with the team’s rotation in order to get desired results, when he leads his charges against Ulinzi Stars in a crucial Kenyan Premier League midweek match at the Machakos Stadium on Wednesday afternoon. Baraza who has in recent matches made numerous changes to the team, said that he believed that by rotating the players he was getting the best from them and said he would not shy away from the practice as the league heads to the homestretch with a hot pursuit to leaders Gor Mahia. “Rotation helps a lot. At the moment we have no injuries in the team and everyone is fit. By rotating the players we get good output from each of them because they are fresh and full of energy,” said Baraza. 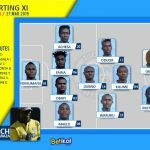 In the team’s 1-1 draw against Vihiga United a week ago, Baraza preferred to use George Maelo at right full back and Titus Achesa on left full back with a midfield of Elly Asieche and Brian Magonya. 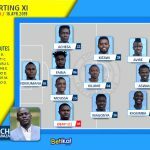 with a midfield Mohammed Kalume and Asieche. “It’s going to be a tough match, since Ulinzi are wounded after losing their last two matches in the hands of Kakamega Homeboyz and AFC Leopards, but we are ready for the challenge, because we can also not afford any more slip ups if we are to catch up with Gor and overtake them,” Baraza said. The last time the two sides met, the match ended in a 2-2 draw at Afraha stadium. 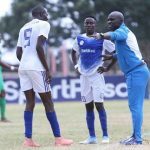 Sofapaka coach John Baraza has asserted that his team is in the race for the SportPesa Premier League title despite falling seven points behind league leaders Gor Mahia. 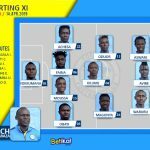 Sofapaka fizzled in their quest to slice the gap to five yesterday after labouring for a one-all draw against relegation threatened Vihiga United at Kenyatta Stadium, Machakos. However, Baraza is not moved by the gap as he anticipates K’Ogalo to falter along the way and Sofapaka will have a chance to pounce. 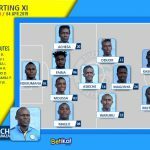 Baraza insisted that it was too early to write them off as they have the capacity to challenge the defending champions, who could widen the gap to 10 should they win their game inhand. Sofapaka have played 20 matches while Gor have played 19. “It’s too early to write us off just because we shared spoils with Vihiga and we are seven points behind Gor Mahia. It is possible to close in on them and surpass them. This is football and no one knows how they will perform in their next match,” insisted Baraza. The 2009 league champions enjoyed a 1-0 lead for long spells but conceded barely ten minutes into the final whistle leaving Baraza to rue a lapse in concentration in his rearguard. “Lack in concentration allowed Vihiga to squeeze the equaliser at a crucial stage of the match and this is something we have to work on before our next match against Zoo Kericho,” added Baraza. While Baraza was livid with his charges for failing to hold onto their lead, his Vihiga United counterpart, Mike MuIruri was delighted with the point gained. He remained hopeful of escaping relegation. “We came for early goals and the three points, which did not materialise, but I am happy with the point gained from a very tough match. We have an important game on Sunday against KCB at home and we have to fight for the three points to allow us rise to a safer place. I am not worried of relegation for I am sure we will be able to keep our top flight status,” said Mururi.